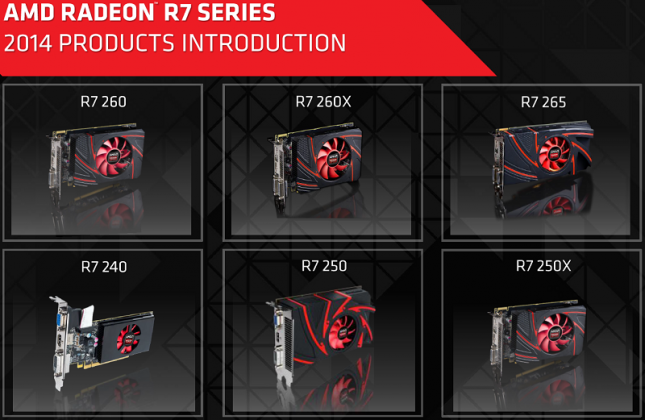 Last week AMD beefed up their entry-level and mid-range graphics cards with the introduction of the AMD Radeon R7 250X and the Radeon R7 265. It appears that AMD did this to help fill in both the performance and price between the Radeon R7 260x and the Radeon R9 270 ahead of NVIDIA’s rumored GeForce GTX 750 Ti launch. The addition of these two graphics cards completes the AMD Radeon R7 series for the time being. AMD will be cutting the price of the current Radeon R7 260X cards as a result of the AMD Radeon R7 265 coming to market. The price cut is a pretty big deal as it lowers the price of the AMD Radeon R7 260X cards by about $20 USD and the AMD Radeon R7 265 2GB now sits where the AMD Radeon R7 260X 2GB card once was. The $149 price point is super competitive and AMD is making some mid-year changes to make sure they are ready for NVIDIA to release the GeForce GTX 750 Ti and GeForce GTX 750. What is the big deal about NVIDIA’s new card? The GeForce GTX 750’s will be the first cards by NVIDIA to use GPU’s feature the Maxwell microarchitecture. AMD’s entry level and mid-range cards are using older architectures, so it will be interesting to see how this all plays out this month. The AMD Radeon R7 265 has 2GB of GDDR5 memory running on a 256-bit bus and uses a scaled back version of the Pitcairn GPU that has been around since the the Radeon HD 7870 GHz edition was released in March 2012. The AMD Radeon R7 265 has 1024 Stream processors whereas the previous versions of this GPU used on the 7870Ghz, 270X and 270 all have 1280 Stream processors. This configuration on the Radeon R7 265 will offer up 1.89 TFLOPS of compute performance and a memory speed of 5.6Gbps, making it AMD’s best-performing R7 series card. The AMD Radeon R7 265 is just a paper launch (possibly to spoil NVIDIA’s rumored launch of their first Maxwell card) as cards will be shipping late February for a suggested MSRP of $149. 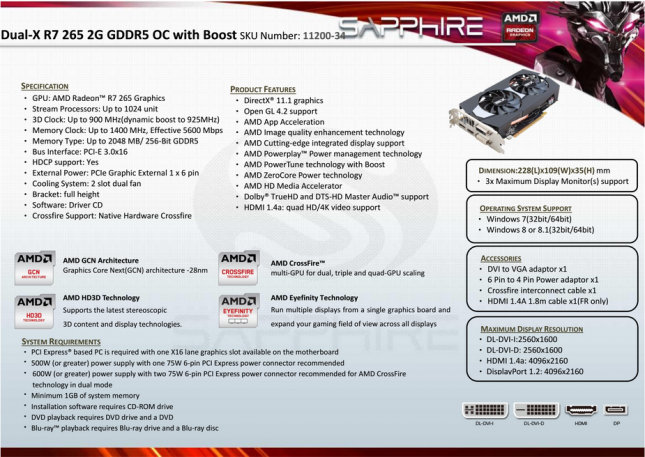 AMD did not send us their Radeon R7 265 reference card, but instead shipped us the Sapphire Dual-X R7 265 2G GDDR5 OC with Boost (Part number 11220-34). It is odd that Sapphire calls this card overclocked as it meets AMD’s rated clock frequencies for the AMD Radeon R7 265 with a core clock of 900MHz (boost to 925MHz) and a memory clock of 1400MHz (5600MHz effective). AMD sent us a bare board for testing and it looked oddly familiar for some reason. After digging through the pile of video cards that we have here at the test labs we found the Sapphire Dual-X R9 270 2GB GDDR5 OC with Boost that we reviewed last year. The PCB revision number was identical as what appeared to be every last transistor and resistor on the board. 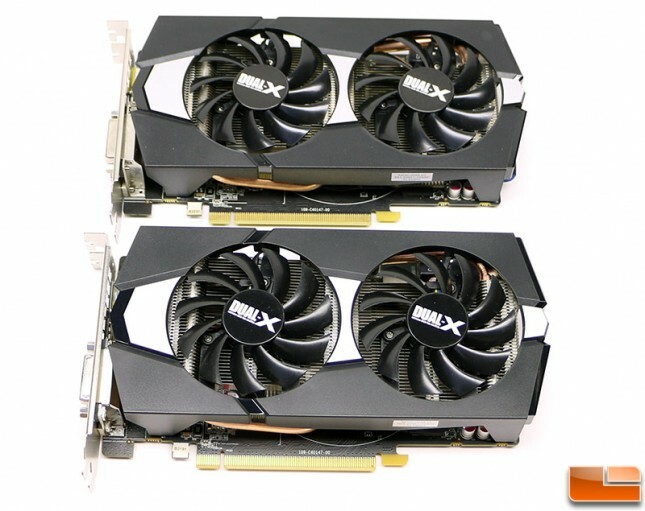 The Sapphire Dual-X R9 270 and Sapphire Dual-X R7 265 are pictured above and below. We contacted Sapphire to find out more information about their graphic card and they responded by saying they hadn’t seen anything on it yet. This answer left us confused and then we figured out what AMD did. From what we can tell AMD rushed out the Radeon R7 265 to head off the NVIDIA GeForce GTX 750 and GeForce GTX 750 Ti. They needed a stronger part at a better price, so the easiest thing to do was to take a Radeon R9 270 and disable some core features and kick it out to the market. We couldn’t even get a part number from Sapphire on this card until after it officially paper launched! If you were wondering why we didn’t have a review up on launch day it was partially because we didn’t know exactly what we had and it was a paper launch anyway. After the launch we were finally given a specification sheet (above) that showed the part number, but we’ve yet to be told a price. We’ll just run with the $149 suggested retail price, but it wouldn’t be a shocker if it was $10 over MSRP due to the custom cooler and all that. When we flipped the video cards over we noticed that the part number and serial number label was missing on the Sapphire R7 265 video card and that made everything click. It appears that AMD took a bunch of retail Radeon R9 270 cards and flashed them with a new locked down BIOS to become Radeon R7 265 video cards. After closer inspection you an even see where the serial number label once resided on the back of the Sapphire Radeon R7 265 2GB video card. All that is left is some sticky adhesive and the corner small sliver of the label at one end. 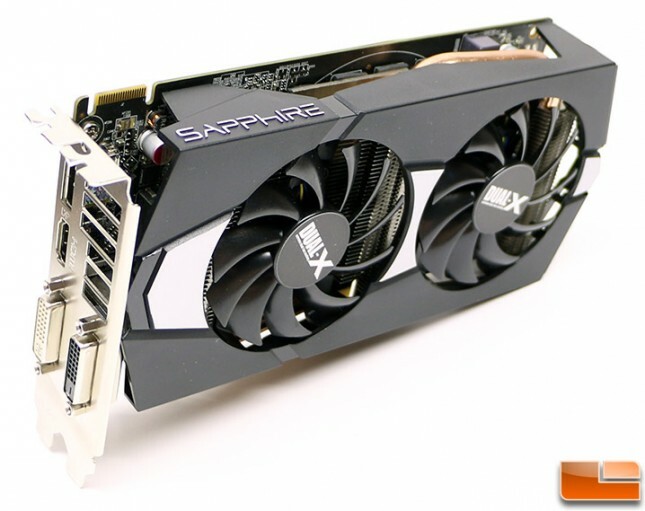 Since we basically have a re-flashed card we’ll skip straight to testing as you can go back and read the review on the Sapphire Dual-X R9 270 2GB GDDR5 OC with Boost to get all the details. Basically you’re looking at a dual-slot card that is 8.7-inches long and when it comes to video outputs you have a pair of DVI connectors (DVI-I and DVI-D), Display Port and HDMI. 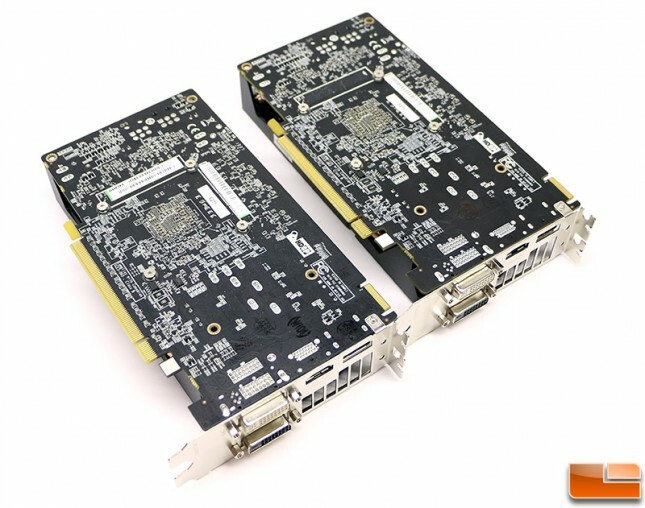 The card has one 6-pin PCI Express power connector located near the end of the card and Sapphire recommend a 500W or greater power supply with one 75W 6-pin power connector. If you wanted to run AMD 2-way CrossFire at some point in time, the recommended PSU is a 600W or greater model with two 75 Watt PCIe power connectors. The Sapphire Dual-X GPU cooler on the R7 265 2GB has two copper 8mm heatpipes with a large cooling fin array that is kept cool with two 74mm fans Sapphire Dual-X card. Now that you know the background about how the AMD Radeon R7 265 came to be and the finer details about our review sample, we can get to testing!